The Switch MOD® line of data center products incorporate Switch’s modularly optimized designs and are built with the same high standards as Switch’s multi-user/colocation facilities. Switch MOD can be customized and scaled to meet on-premise customer demand. The MOD design incorporates Switch founder and CEO Rob Roy’s patented data center systems into physically secure, optimally-integrated, future-proof, mission-critical facilities. Switch’s patented 100% Hot Aisle Containment Rows and Exterior Wall Penetrating Multi-Mode HVAC Units are at the heart of Switch’s reliability and efficiency. Additionally, components featured in Switch MOD data centers are manufactured through exclusive license agreements and are only available through Switch. 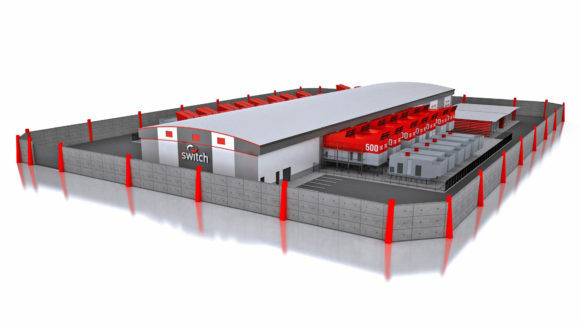 By exclusively manufacturing 80% of what goes into Switch MOD data centers, Switch can build at a scale, pace and cost-savings unmatched in the industry – translating into speed to market, unbeatable value and the highest quality data centers that far exceed industry standards. The Switch MOD 100 and MOD 250 are built to Switch’s proprietary Tier 5® data center standards, which not only encompasses the resiliency and redundancy in other data center ratings systems, but also evaluates more than 30 additional key elements. Switch MOD 100 and MOD 250 products are built to the Tier 5® data center standard at costs comparable to those other companies incur to build lower-rated Tier 2 and Tier 3 facilities.